If it's Australian made, say it. That's the latest call from the Australian Made Campaign, which is encouraging companies that make Australian complementary health products to display their Aussie credentials and leverage consumer preference for Australian-made products. 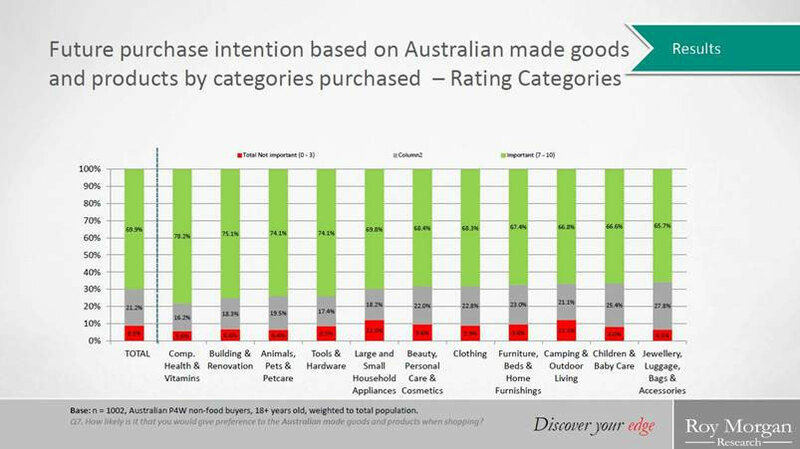 Roy Morgan research recently revealed that more than two thirds of Australians (69.9%) would give preference to buying genuine Australian-made products. In fact, the Australian made attribute is particularly important to consumers looking to purchase complementary health and vitamin products (78%), as well as beauty and personal care products (68%). 'It comes as no surprise that consumers are increasingly demanding authentic, premium-quality products that originate from our clean, green environment and are made to demanding Australian standards," said Australian Made Campaign Chief Executive, Ian Harrison. What is clear from the research is that businesses that make complementary health products in Australia and market this key point to consumers have an advantage in the marketplace. 'It makes absolute sense for businesses that produce products locally, to leverage consumer preference for Aussie products," said Harrison. 'And the best way for business to tell consumers that their products are genuinely Aussie is by branding them with the Australian Made logo. 'The famous green and gold kangaroo logo has long been the quickest and easiest way for consumers here and overseas, to identify genuine Australian products. It's instantly recognised, it's trusted and it works. So, if it's Australian made, say it"
Businesses can register to use the Australian Made logo by contacting the Australian Made Campaign today on 1800 350 520 or visit www.australianmade.com.au. Consumers looking to find genuine Australian-made or grown products should visit www.australianmade.com.au.